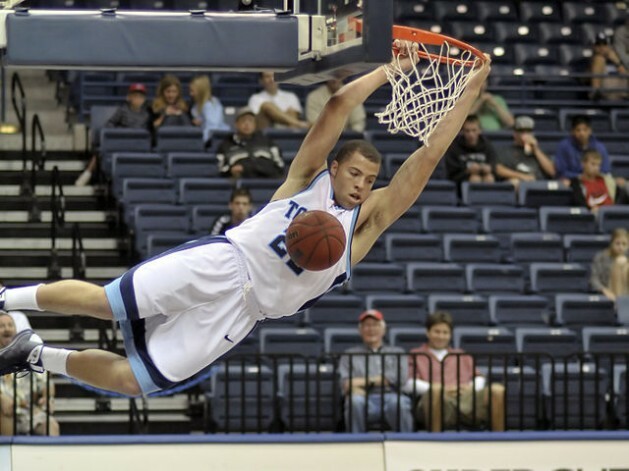 If you are a basketball player, you would surely want to know the trick behind jumping higher. You will be able to get more rebounds, sprint faster up the court, and elevate over people for contested jump shots if you learn to jump higher. It will also help you to dunk well. You must be able to apply more force on the surface of the ground in the shortest time possible if you want to increase your vertical jump. So you will need more power in less time. There is a misconception that overall strength will help to jump higher. Time off the ground also plays a very important role in jumping high. Only if you increase your strength, you will be able to jump high. To improve the time aspect, you can take the help of plyometrics. Some basic tips to increase your vertical jump are given below. There are muscle knots everywhere in your body. They will restrict the length of your muscle tissue and makes them shortened and weaker. To relieve these spasms, you can use a foam roller. It will focus on moving slowly and stopping on tender spots until the knot releases. You will have to work on calves, IT bands, and quads for at least 30 seconds before switching legs. If you want to jump higher, your legs need power. The Bulgarian split squat will be very helpful to build strength. It will also improve your balance. You have to stand a couple paces away from a bench to do it. Now, place your non-working leg on it. Make sure that the top of your foot should be on the bench. You can hold a dumbbell in each hand and stand erect with your chest up. You will have to descend until your back knee nearly touches the floor. You can use the heel of your lead foot to push yourself back up into a standing position in this exrecise. You have to do this 3 sets of 8 reps on each leg on your lower-body workout day. This is performed by stepping off a box. You will have to explode up immediately after landing on the ground. You will learn reaction time with this. By doing this, your lower body muscles activate when you need to catch air. You should start by standing on a box that’s 6 to 8 inches off the ground. Now, you can step off. Jump as high as you can when you touch the ground Your arms should reach overhead. You have to land softly in an athletic position. After recovering for a second, again step back onto the box and set yourself up. You have to do repeats. This is a plyometric move. For doing this, come down to your knees and sit back on your heels. Now you have to swing your arms to help create momentum as you explosively jump up. You will also have to drive your hips forward and bringing your legs and feet directly underneath you. You have to brace your body as you land in a squat position with your arms out in front of you. Your back has to be lowered to the kneeling position. Come down on one knee at a time. You can find number of ways to train to jump higher. You can also find various type of exercises for muscle endurance, cardiovascular, muscle strength, and joint flexibility. When it comes to higher vertical jumping, such as in basketball or hurdling, all these four factors are very important. The thigh muscle strength plays a very important part in the vertical jump. So you should focus on this muscle group. For muscle strength, you can train yourself in various ways including weight lifting. You can purchase affordable resistance or exercise bands that include many targeted exercises if you do not have access to weights. They are easy to perform also. So let us now discuss those four factors. You can find many thigh muscle strength activities such as jumping rope, riding a bike, jogging or running, and swimming. They do not require any special equipment. You can also use exercises like leg squats, lunges, lifts and stretches to train yourself to jump higher. You can also try routines that involve only calf lifts and leg squats. They have increasingly higher reps and are a simple workout to train yourself to jump higher. You will be able to easily run faster and jump higher if you build muscle strength. A muscle’s ability to perform strength exercises repetitively, with increasing difficulty to build bulk and endurance can be cited as muscle endurance. It is very important that you have to push your workout just to the point of pain to see results. You have pushed far enough if you feel the burn. You have to increase this point as you train yourself with an every other day routine that allows the muscles to rest a day in between. As ankle, knees and hips must be strong enough and flexible enough to withstand jumping, joint flexibility is very important for joint flexibility. You have to stretch before and after your workouts, drink plenty of fluid to keep hydrated, and eat a diet heavy in protein to build muscles. There are many athletes who take multivitamins and supplements to increase joint flexibility. You can also try to increase flexibility, balance and coordination are ballet lessons. It also involves great leg strength exercises necessary in dancing, as well as sports. Cardiovascular Exercising is important for an overall healthy body and to build leg muscle strength. You have to coordinate with the other three types of exercising. Aerobics, Pilates, or martial arts are good cardio exercise training that you can use to train yourself to jump higher. You can even try walking, jogging and running. Water aerobics is also a good option because it combines resistance strength training without the stress on the joints or muscle pains in weight lifting. Follow these tips and techniques for an improvement in your vertical jump. You will find a difference in your vertical jump very clearly. Do not give up in the middle. So pay attention to choose exercises that you will not lose interest in.